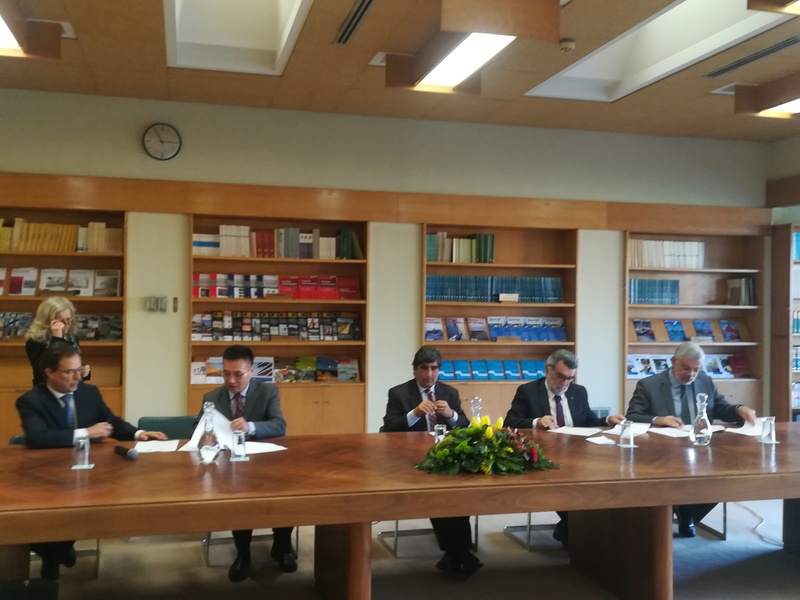 LIS-Water, the Lisbon International Center for Water signed a memorandum of understanding with the Beijing Enterprises Water Group, BEWG, and the National Laboratory of Civil Engineering, LNEC, to develop a training program for Chinese executives and professionals. Luo Xuegeng, the representative from BEWG, a leading Chinese public company in the water sector that owns the Portuguese company Be Water, said that the signing of this memorandum is taking place at a high point in relations between Portugal and China, following the State visit of the President of China to Portugal. The BEWG representative showed full support for all the activities that will be developed and stated the interest in investing more in Portugal. Jaime Melo Baptista, Coordinator of LIS-Water, refers to the framework of the memorandum on Training and Capacity Building, one of the 5 main areas of activity of the Center of Excellence. 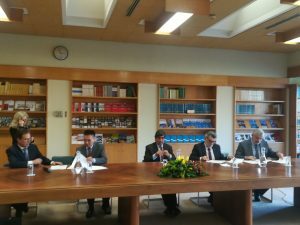 The signing of the memorandum took place in the presence of the Secretary of State for the Environment, Carlos Martins, who emphasized the importance of the work of LIS-Water in meeting the international sustainable development objectives and reinforced the important moment of the relations between Portugal and China noting that next year a high-level meeting of the Europe-China platform on water will be held in Lisbon and that from 2020 Portugal will lead this platform secretariat.